This Friday 8th March marks the International Women’s Day, which will be celebrated under the theme ‘Balance for Better’. In Mauritius, we hear a lot about women empowerment and emancipation but disparity between men and women still persists in the job sector. According to statistics, in spite of being fewer in the labour force (representing only 39%), women were over represented among the unemployed. In addition, women’s average income tends to be lower than men. News on Sunday speaks to some stakeholders to analyse this pay discrimination and why women are denied employment opportunities. We can now claim Chagos Archipelago with more vigor, believes the former President of Mauritius, Cassam Uteem. In the context of the 51st Independence of our country, Cassam Uteem shed some light on the various social and political issues. He states that we are paying a very heavy price for our lack of foresight and planning. In Mauritius, women emancipation is firmly on the move, with female entrepreneurship on the rise. The Ease of Doing Business as well as greater awareness on opportunities are encouraging more and more women to take up new challenges. He left for Australia two years ago not only to pursue his tertiary studies but also to broaden his horizons. Loic Munso, Finance and Accounting student at Murdoch University in Perth, Australia, confides that it was not an easy task for him to move to a foreign land but he now feels that it was all worth it thanks to incredible learning and teaching experiences he has had. General-Secretary of the Murdoch Guild of Students and Treasurer of Murdoch Business Society, Loic shares with us his pathway and his advice to Mauritian students heading abroad for their university studies. Momo challenge has resurfaced on the internet again and it has been a worrying issue for parents across the world. 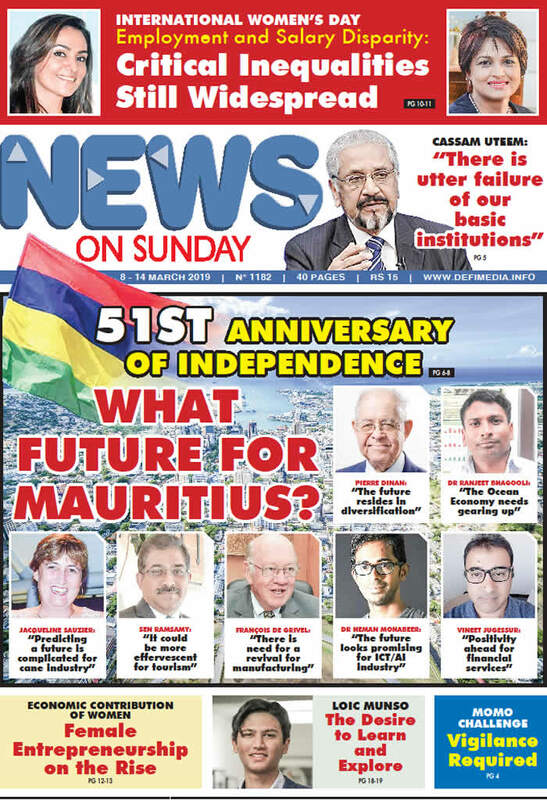 Mauritius is not spared either. CERT-MU Security Alert has issued a security alert to warn parents against this gaunt and terrifying doll that asks the viewer to participate in deadly challenges.